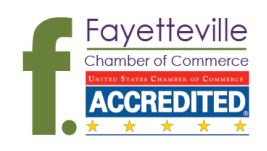 We invite you to check out Fayetteville as the home for your business. Be it an expansion or a start-up, you will find we have what you need to grow and succeed. The city of Fayetteville is a college town with big city amenities. Nestled in the Ozark Mountains, Fayetteville is one of five large cities in northwest Arkansas. Northwest Arkansas is home to two Fortune 100 companies - Walmart and Tyson Foods. We are also home to the University of Arkansas. With an enrollment of over 27,000 students and investments of over $1 billion in the past 10 years, the University is ground zero for the development of cutting edge technology and innovation. The Fayetteville Chamber is the City of Fayetteville's chief economic developer. Together, the Chamber and the City's leadership build the ecosystem to successfully attract new and retain existing businesses to the city. Equally important is our strategy to develop local entrepreneurs and infrastructure to assure the city's continued success. We are about managed and sustainable economic growth, matching the right companies to our philosophy of being good stewards of our resources so we may leave this community a better place for our future generations. We embrace sustainable practices to benefit our people and planet without compromising profits for our businesses. If you are interested to start a business in Fayetteville, please contact us. What types of activities do economic developers perform for businesses and their communities? Real estate development and commercial revitalization, workforce development, infrastructure and business finance, business marketing, attraction, expansion, and retention, community development, industrial rehabilitation and location, international trade, tourism development and many more.